I've been in this situation multiple times: a friend or family member gets their Android phone so bogged down with apps and extraneous files that I recommend a full device wipe. The first question they ask is not "Will I lose all my contact data? ", nor is it "What about all the photos I've taken?" No, invariably it's some variation on this theme: "Will I lose all my three-star ratings in Angry Birds?" After years on the market, developer Rovio is finally presenting players with an easy solution in the form of an official Rovio Account. The service works just as you'd expect it to: log in with a username and password, and your level progress is saved and accessible on any Android or iOS device. Happily, this will also allow multiple users to play on the same device without overwriting each other's scores. The prayers of many a nuclear family of tablet users have been answered with benevolent and annoying squawks. 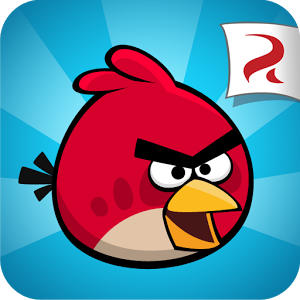 At present, the Rovio Account feature is only active on the original Angry Birds and (for some reason) The Croods, but Rovio plans to expand it to the rest of their lineup soon. I wouldn't be surprised to see it baked into Angry Birds Star Wars II when it launches in September. By the way, if you're wondering why Rovio isn't using the Google Play Games service to do this, remember that they've got multiple platforms to consider.